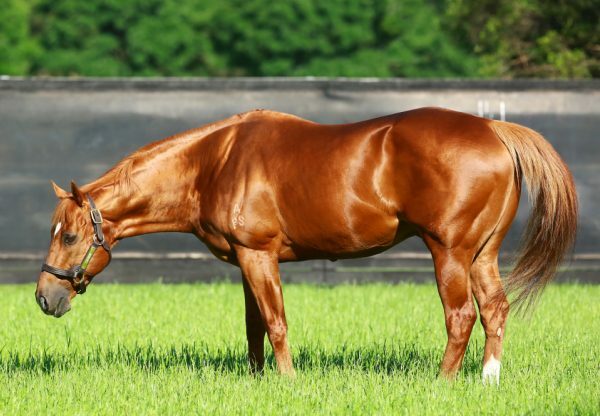 A charismatic chestnut with untapped ability, exciting colt Gold Seventy Seven (3c Choisir x Gold Fortune, by Made of Gold) overcame difficulties to keep his unbeaten record intact when posting his third win in as many starts at Rosehill on Saturday. 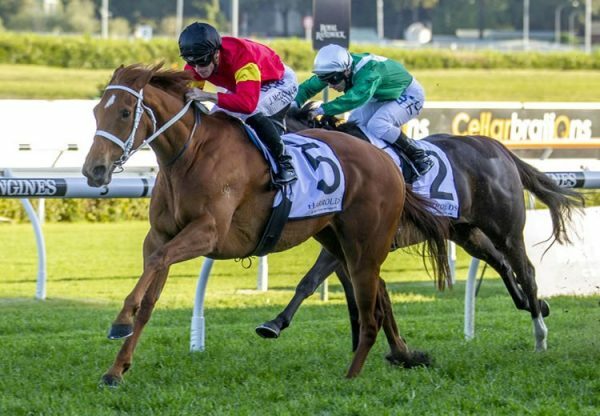 Prepared by Kris Lees and partnered by Hugh Bowman, Gold Seventy Seven was trapped wide from an outside gate for his first try at 1400 metres, so was forced to cover ground before accelerating down the running to win by more than a length. 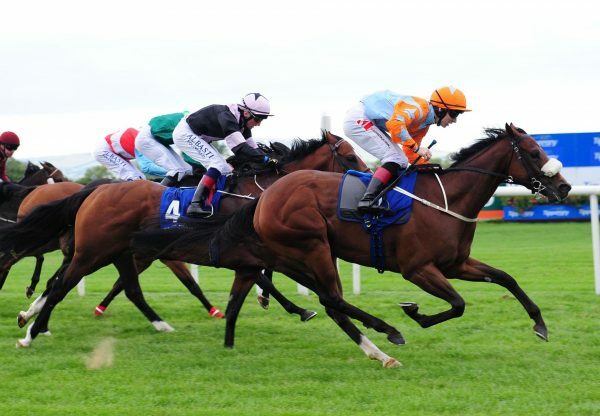 Lesser horses may not have delivered under such circumstances on a very hot day, but although tired on the line, Gold Seventy Seven again performed in the manner that has many good judges tipping him as a stakes horse of the future. “He didn’t win by a big space, but he was three deep with no cover so it was a really good win,” said Kris Lees. 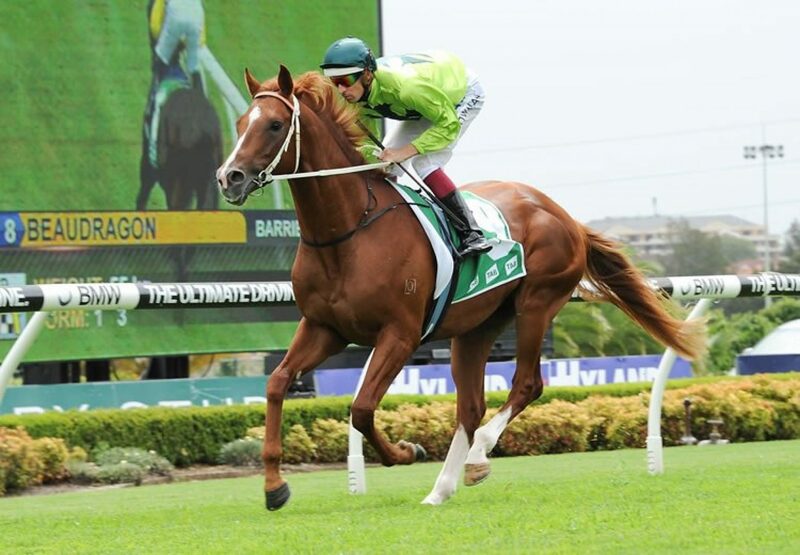 "I will give him a break now and set him for the Royal Sovereign (Group II at Randwick April 18). "He’s still got a bit to learn, but that was a good effort out to 1400m for the first time on a hot day.” Hugh Bowman was also full of praise for Gold Seventy Seven, who has won $119,025 in winning each of his three runs to date. "I had the confidence in him and he didn’t let me down,” Bowman said. "It makes we wonder where he is going to end up.” Gold Seventy Seven was bred by Jim O’Neill, who bred and raced the great Golden Slipper winning champion Luskin Star, who was trained by Kris Lees father Max. Named in honour of Luskin Star, who won the Golden Slipper in 1977, Gold Seventy Seven runs for a syndicate that includes Mr O’Neill and the Luskin Park Stud Racing Syndicate headed by Paul Whelan. Bred on the same cross as multiple Group I winner and sire sensation Starspangledbanner, who is also by Choisir from a daughter of Made of Gold (USA), Gold Seventy Seven is the third winner for Gold Fortune, a winning grand-daughter of Group III winner Gourmet, the dam of Group I WATC Derby winner Shirazamatazz. 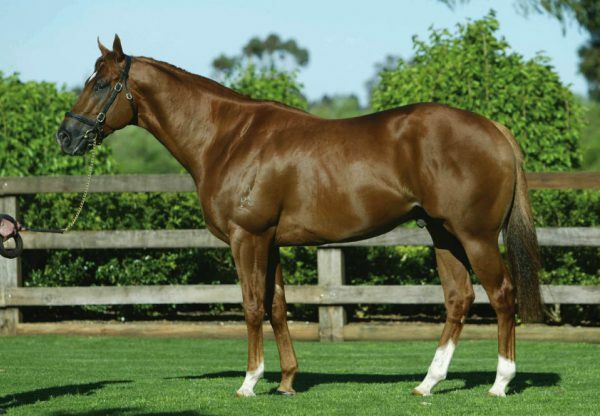 Gold Seventy Seven is one of over 80 Australian winners this season for Choisir, who is the leading sire of winners coming into the 2015 Magic Millions Yearling Sale where he has 20 entries.